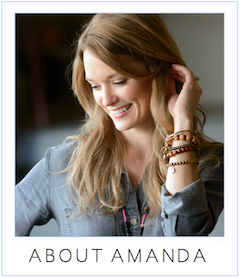 amanda mcclements & metrocurean: Win SoundBites Tickets! Good food, good tunes and a good cause is the recipe for this Sunday's SoundBites concert at the 9:30 Club, benefiting DC Central Kitchen. Metrocurean is pleased to have a pair of tickets ($80 value) to give away to one lucky loyal reader. The event, from 5-10 p.m. May 22, will feature tastes of signature dishes from 20 local eateries including Casa Nonna, Cork, District 2, Eatonville, Evening Star Café, Harry's Smokehouse, Indique, Jaleo, Mandu, Mie N Yu, Policy, Radius Pizza, Rappahannock River Oysters, Taylor Gourmet, and Toki Underground as well as five food trucks including Sabor’a Street and DC Empanadas. Check out full details here. Here's the deal: Leave a comment below by Friday, May 20 at 10 a.m., and I will announce the winner in the comments at 11 a.m. The winner must email me at metrocurean@gmail.com by Friday afternoon to claim the two tickets. Good luck and help spread the word about the good cause! I'm a broke glutton, the very saddest and skinniest sort of glutton, and would love to win these tickets. Sounds fantastic - I'd love to attend! Winning Tickets would make this Foodie's week!!!! This event sounds amazing! I'd love to win these tickets -- especially for Cork and Eatonville treats, and to go to a fabulous event supporting DC Central Kitchen. I would LOVE to win these tickets! What could be better than music, charity, and tastes from the most recent James Beard winner?! What an great event to support an incredible organization! I would love to feature this as the first event on my new food blog! I'd love to attend! It'd be fun to try out some of the new food trucks too. I would love to win these tickets, I will get to try so many new things! Yumm. Good food and a good cause. This would make my Sunday - I'd love to go! I would love to try Jaleo's giant paella. My fiance and I are big foodies and getting married in less than two months. We would love to win these! My stomach started growling while half way through the first sentence. This event sounds delicious! I would LOVE, LOVE, LOVE to attend. sounds like a great cause, and a lot of fun! i'd love to go! I'm a poor college student looking for something to do this weekend...PICK MEEE!! I love this blog and I would be sooo excited if I won! great opportunity for me and excellent cause to support. Sounds like the kind of event I would give a leg for... or at least a finger. this event was so great last year, would love to go back! Great food and a great cause! I went last year and it was a fantastic event. I'd love to go this year too. Charity + Food = a BALL. Would love to go to celebrate my birthday like I did last year! THE WINNER IS... Kristen R! Email me at metrocurean AT gmail.com by Friday afternoon to claim the two tickets! Congrats and thanks to all for commenting! I emailed you about winning the tickets! Thanks so much!